In this critically acclaimed coming-of-age satire, TV star Pierfrancesco Diliberto, known as Pif, recalls his childhood in Sicily. Stunning cinematography and expert lighting transports viewers to the Palermo of the 1970s and early ’80s: a place of beauty and violence, denial and civic courage. The protagonist Arturo fights for the heart of his beloved Flora against the backdrop of a bloody war for Mafia supremacy. An impressive directorial debut, this film combines cinematic competence, good laughs, and heartfelt tears. 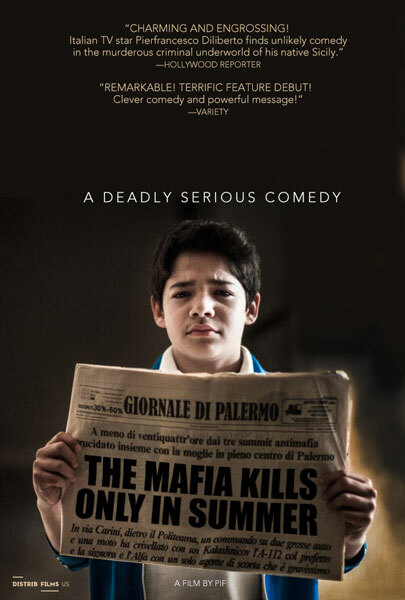 Current Senate President Pietro Grasso referred to this film as the best film work on Mafia ever made. Cast: Cristiana Capotondi, Pif, Alex Bisconti, Ginevra Antona, Claudio Gioè, Barbara Tabita, Rosario Lisma.